Jauchius’ works will be on display through mid-December at the Animal Health Library in Wegner Hall 170, part of the twice-yearly “Art in the Library” program. An opening reception is planned for 4-6 p.m. Friday, Sept. 21. 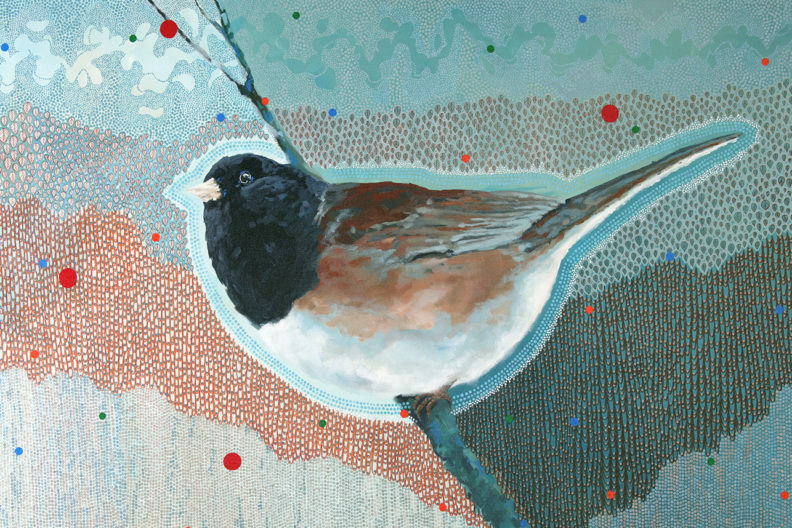 Exhibits feature animal-themed works, typically from artists with a connection to the WSU College of Veterinary Medicine. For more information, visit the WSU Veterinary Medicine news site. Jauchius began painting as a high school senior. Her science teacher at the time encouraged her to paint a mural in the school’s science wing. 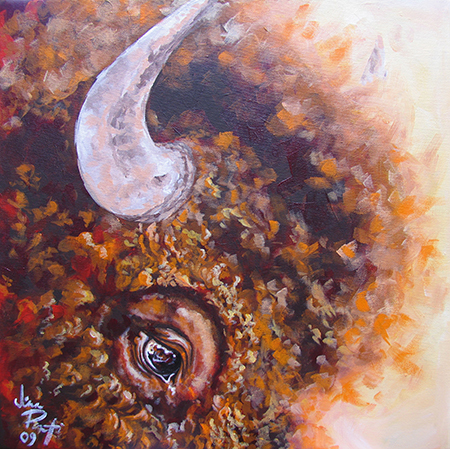 Two paintings that reflect Jauchius’ different styles are “Buffalo Joe” and “Junco: Shifting Seasons.” She has painted many bison, calling them “very expressive creatures, both powerful and vulnerable. “For me, they seem burdened with the deep emotional history of how they’ve been treated by humans. It’s in their eyes,” she said. On the opposite end of the spectrum are dark-eyed juncos, which Jauchius admires for their vivaciousness and self-importance when they show up at the bird feeder in winter, she said. 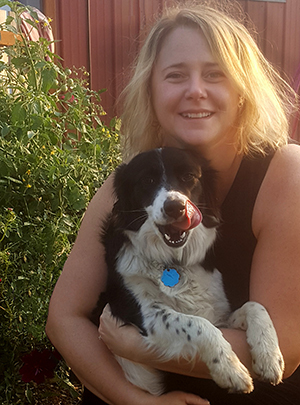 Jauchius earned her bachelor’s and master’s degrees in landscape architecture from WSU in 2000 and 2004, respectively. As a landscape architect, she specializes in designing children’s play, learning and therapeutic environments, with a focus on designing supportive environments for children on the autism spectrum. She is also an adjunct instructor with the Landscape Architecture Program in WSU’s School of Design and Construction. Most recently, Jauchius helped students work with the City of Pullman Parks and Recreation Department to develop a wetland mitigation interpretive garden. One of her most powerful memories of growing up around animals occurred in her senior year of high school, when Jauchius helped a wildlife specialist rehabilitate a great horned owl for several months before releasing the bird on the Spokane River.